Sheet music can be expensive, and it can be difficult to justify the price especially for seasonal tunes that you'll only play for a short time each year. Free Christmas sheet music is widely available online so you can keep a collection of well-known holiday songs without opening your wallet. Whether you're a beginner or an advanced player, try some of these sources for free sheet music. While most popular Christmas songs are very easy to play, some of them are significantly more difficult than others. Choose songs that are suited to your current skill level, and once you've mastered those you can move on to the more challenging pieces. Free-Scores: This site provides sheet music for a couple of very easy Christmas songs, including Silent Night. Registration is not required to view or download the sheet music here. In some cases, you can download an MP3 file of the song to play along with the sheet music download. All you need to do is click on the song you want and then click on the download link. 8Notes: 8Notes offers a wide range of Christmas songs, including many great beginner songs that are great for new guitarists. Using the site is simple. Just click on the song you want to learn and scroll down to the guitar link on the available instruments page. You have to download each page individually by right clicking on the sheet music and clicking "Save Image As." You have to do this if you want to print the music using the site's print button as well. Despite this minor inconvenience, this site offers a wonderful assortment of high-quality sheet music and is a worthwhile resource. Music-Folk-Play-Hymns: The songs here are mostly carols or excerpts from classical symphonies written in the 1800s or before. The owner of the site transcribes the music into sheet music and tabs for readers to use free of charge. There is no registration to use the site and you can get to the sheet music by simply clicking on the song you want to learn. To download, click on the song and then click on the download button in the top right of the .PDF viewer. Christmas Carol Music: This website has a wide array of different songs in sheet music format, as well as some comprehensive indices of different song titles, composers and even the first lines of songs in case you don't recognize the titles. Clicking on the song you wish to learn will take you to a "product page" that lists many different download options for you to choose from. These products are, of course, free of charge and will offer you many different ways to approach learning the song. For example, you have the option of downloading the entire sheet music set, just the melody, or just the vocals. You can even download an MP3 to play along with. All you need to do to download the content is click on the link for what you want and hit the download button. M Files: This UK website has an excellent selection of Christmas tunes and provides both MIDI files and MP3 files for listening, so you can hear each song before you decide to download the music. The sheet music is printable as a .PDF. You don't need to register with the site to view, download or print the sheet music. Most of the songs will come with a few different potential downloads, including arrangements for other instruments or accompaniment. This is especially handy if you're looking for holiday songs that you can play with other guitarists or musicians on different instruments. Noel Noel Noel: Noel Noel Noel has a small selection of sheet music for Christmas songs that are arranged specifically for guitar. The sheet music itself also contains chord symbols for easier reading and understanding of the pieces. To view the sheet music, all you have to do is click on the link to the song you're interested in. If you want to print the sheet music, you can follow this handy step by step instructional page to guide you. For those involved in concert scenarios, these resources can be invaluable for sending sheet music to other musicians in order to properly prepare the songs for performance. 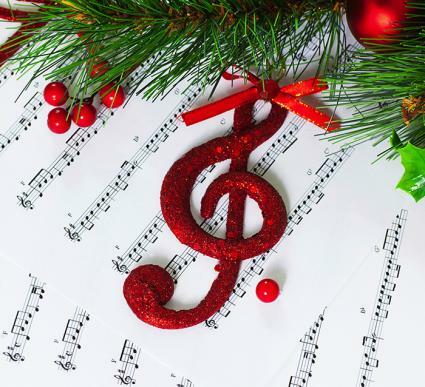 For solo players and recreational players, these sheet music sites offer a chance to prepare and rehearse some classic songs to entertain family and friends with at this most festive time of year.